Alexis and Nathan’s Neon Museum wedding is the definition of fun. With pops of color, nostalgic vibes, and quirky accessories, it’s hard not to love this couple’s destination wedding! With family spread out all over the country, they chose to get married in Las Vegas, where they had visited years prior to their big day. We are in love with Alexis’ colorful Mylofluer bouquet and Mignonne Handmade hair piece, not to mention her pink dinosaur purse! As if it couldn’t get better, Alexis and Nathan opted for a cotton candy stand during their reception for the ultimate bit of nostalgia that took you back to your childhood. All of this goodness and more was captured by JamieY Photography and Lighten Films. As soon as possible, sit down together as a couple and talk about what each of you envision on your wedding day. While you won’t see eye to eye on everything, communication about what are “must-haves” is key. Think back to the last wedding you attended – what stood out to you? What details do you not even remember? Write it all down and refer back to it. Constantly. As times goes on, people with the greatest of intentions will weigh in on what they think your wedding should and shouldn’t be. Don’t let their opinions take over what you initially wanted. Trust your gut and intuition. It’s ok to ask for advice, and then ignore it. Sometimes you just need someone else to weigh in to help you reach your decision. The first look was the most memorable part of our day. Everything before and after the first look happened so fast. It was serendipitous to have an intimate moment to ourselves and remind us of the commitment we were about to make to each other. After the whirlwind of being surrounded by friends and family, it was amazing to see each other and talk in private. Bonus: The first look helped shake our nerves of walking down the aisle! Nathan and I exchanged bike bells on the day of the wedding to symbolize the bicycles we bought for each other as wedding gifts. We love to go on adventures and often end up renting bikes when vacationing in a new city. Nathan received a wooden bike bell to represent his love of woodworking, andAlexis received a custom painted bike bell that included a tandem bicycle and our wedding date. Early on we knew we wanted a very personal ceremony. We didn’t want to feel like we were just going through the motions to get married. We knew one of our closest friends, Will, officiated weddings for friends and family in the past, and we could trust him to present a funny yet heartfelt ceremony. He brought us together before the wedding and to ask questions about our relationship and in private, asked us to spill the beans about each other. It helped him craft a beautiful ceremony that included mentioning our cat, Tater Tot, and our love of craft beer. We also invited Nathan‘s mom to read a scripture from the Bible and we wrote our own vows. There wasn’t a dry eye in the house! In 2015, Nathan and I went to the Punk Rock Bowling festival in downtown Las Vegas. We went to the Neon Museum for a night tour and casually chatted about how amazing it would be to get married among all of the signs. Fast forward to September 2016 right after our engagement. While sitting down at our local watering hole, we both picked the museum as our number one venue. Most of my family and friends live in Seattle or Portland and his are in Ft. Worth. Since it was going to be a destination wedding for almost everyone, we figured we might as well take the plunge and get hitched in Vegas! Our highest priority was making sure our guests had fun and our wedding reflected us as a couple. I often joke that “classy” was never a word we used to describe what we wanted on our wedding day. We wanted unique details, rich color, and a hint of nostalgia. 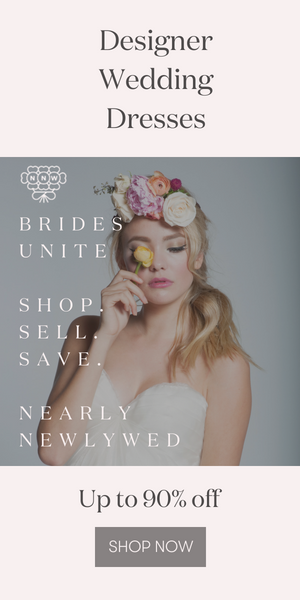 Hair and Makeup Artist – Amelia C & Co. Thank you so much to JamieY Photography for sharing Alexis and Nathan’s Las Vegas wedding with Junebug! For more quirky and fun weddings, check out this intimate and quirky New Orleans wedding at The Catahoula Hotel.